Book your taster week NOW and pay cash on arrival! Apply promo ’19FLASH’. Available only during June 2014. Flash Sale starts NOW and ends at midnight on Sunday 18th May. 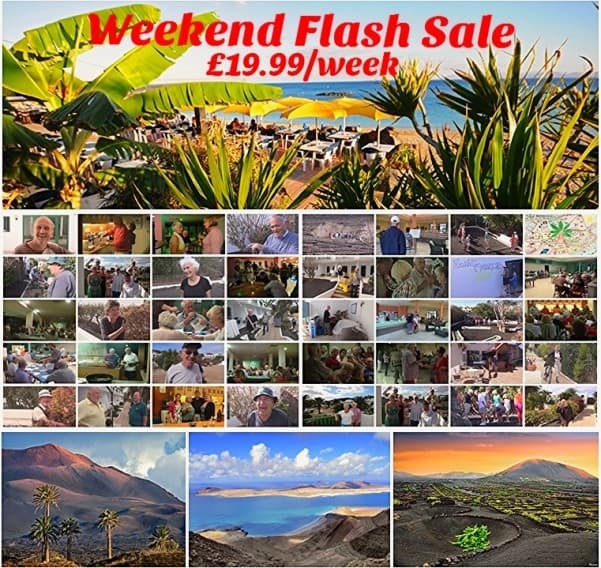 If you are aged 60+ and are looking for a wonderful place where to relax and reconnect with the ‘Joie de vivre’, then Sun Park Living may be just the place for you, visit us in June 2014 for a week and see for yourself what a wonderful place Lanzarote is. These taster week apartments are based on first come first serve, and once they are gone they’re gone. DON´T MISS OUT! APARTMENTS WILL BE GONE IN A FLASH!!! (*Subject to availability, terms and conditions apply, rate is per person, aged 60+, based on 2 sharing one apartment.